The following day we embraced our tourist personas, and decided to go sightseeing across Tokyo, which was lovely, busy, vibrant, and full of electric cars—this is serious sensory-overload territory. 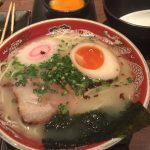 We ate lunch in Tokyo station at Rokurinsha(http://rokurinsha.com) a ramen bar recommended by David Chang. We queued for a table for 45 minutes but it was well worth the wait. Later that day, we ate cabbage and trotter dumplings on the street, which were incredible, before indulging in green tea ice cream and lots of dorayaki (a Japanese red bean pancake) which was delicious without being overly-sweet. 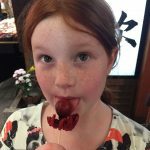 In fact, there was a noticeable lack of sweet offerings throughout the trip, which was quite a refreshing revelation (and the lack of sugar definitely did the kids some good). 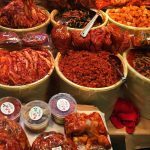 We shopped until we dropped, navigating through the labyrinthine food halls which lay beneath the bustling department stores on the street level. Down in the food halls, we could have done with a reminder that we were underground, as the lights were BRIGHT! All of the food looked unbelievably delicious; sushi, ramen, dumplings and all manner of salads tempted us from every corner. The Japanese really do bring take-away food to a whole new level. We ate that evening in the city centre, opting for a traditional kaisaki style multi-course dinner in a private room where the chef cooked right in front of us. The highlight of the meal was the tempura of seasonal treats; bamboo root, fiddlehead ferns, sprouts and flowers. Here, the hospitality outweighed the food for me, but a great experience all the same and the sparkling sake was a first and real highlight. We started the following day off with a leisurely local Japanese breakfast of fish, omelette and miso. We re-boarded the Shinkansen to Kyoto to reunite with the Vallebona family. When we arrived, Kyoto felt lovely, relaxed, sophisticated and gentle. We checked into our new lodgings—a 400-year-old house with two rooms and futon mats. The front door only reached up to my chest, but it was quaint and relaxing with a huge ancient cast iron bath. This was to be our base for the next nine days. We ate simply that evening in a local izakaya-style restaurant called Harumiya where, in order to reach our table, we were led past an archetypal assemblage of old men at the bar, cigarettes puffing away and playing cards in hand. We were taken out back and seated at an informal table and presented with a simpler offering of okonomiyaki, a pancake with greens and egg—which we ate a lot of. Large beers, stewed onion and unrecognizable parts of chicken followed, but all was incredibly cheap and delicious. literally sold everything! 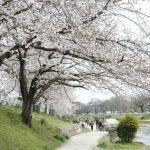 With the cherry blossoms in full swing, the previously quiet and serene Kyoto had become busy with people snapping pictures of the blossoms and enjoying large family picnics under the blooming trees. A truly lovely place to be! We visited a Nishiki Market the following morning—a huge 400-year-old market in Kyoto which was housed in a long alleyway. 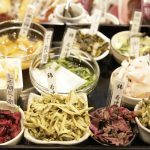 The market was teeming with amazing pickles, (the nuka-fermented vegetables really took me back to our sake tasting), and a seemingly endless selection of free samples and tasty bits to buy along the way. Octo-pops were without a doubt the highlight for the kids, but for me the chance to buy clams and have the sashimi prepared right in front of you was great. 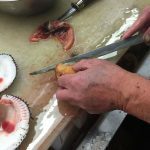 The clam that I had selected was huge and super sweet, although the butchery was a bit of a turn-off. A sampling of honey and yuzu squash was so fantastic that we brought back a few bottles for a G&T in the summertime. We popped in to yet another great knife shop, this one stood out as the engraving and sharpening were all part of the service, and yet more Japanese weaponry was bagged. We lunched at Tonkotsu Ramen Ichiran, a local ramen shop where the space was divided into two rooms: one of fully-automated vending machines from which to choose and buy your lunch, and the other a set of private booths in which you can sit and enjoy a delicious spiced pork ramen. It was a strange feeling to be cut off from seeing another guest or server, but I can see the upside in this strange style of dining, and I’ll admit that I enjoyed the short time away from the madness that surrounded us in the shopping centres and busy side streets. That evening we walked though Geisha territory—taking in the fancy restaurants and impeccably turned out ladies being photographed by passers-by every few seconds. Between the flashes of mesmerised cameras, the blossoms were magnificent in the moonlight. We embarked on an hour-long, but very efficient, train ride the following day to Osaka to experience the cuisine there. Battered deep fried sticks that were meant to be dipped at the table were not all that impressive, but the takoyaki, which Osaka is famous for, were a big hit amongst all of us. Soft, hot, full of sweet octopus and coated in katsuobushi, or cured bonito flakes, these were a memorable few bites to say the least. 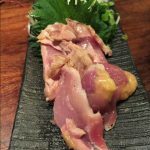 It was earlier that week, in a Kyoto marketplace that we had first discovered katsuobushi as a fermented piece of bonito that had been cooked, dried and smoked. 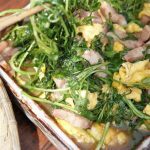 The quality of this product was incredible and all I could think about was how great an ingredient this would be to work with in the UK with eggs and asparagus…a dish that has since become a firm favourite Upstairs. 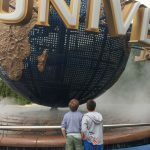 We spent the following day in Osaka as well, putting a hold on our food crusade to visit Universal Studios with the kids. I had never been to a theme park before, so the sheer novelty of it definitely took me aback. It was fantastic for the kids, and I have to say that it was all brilliantly well done. At the same time, it was quite strange to be surrounded by so many American and Western influences after being removed from them for so long. I can confirm that the rides were great; I wasn’t sick and my son Jack even asked if he could stay and live in the Harry Potter centre—which I have to admit was pretty amazing. After an exciting afternoon, we exited though the gift shop. Later that evening, Izakaya Style Maido, a small fried rice restaurant with eight seats did the trick for us. A few beers, more okonomiyaki pancakes and simple noodles put the finishing touches on a great day. We ventured out as a family the following morning to the Kyoto Zoo (by accident). It was pouring with rain and the animals were much closer up than I had ever seen. It was a lovely zoo, actually—although zoos are not my thing. We lunched at Okakita (http://www.kyoto-okakita.com), where we stood in a queue for an hour in the rain with many raised eyebrows from my family. 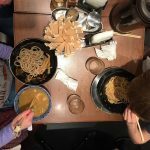 When we finally made it inside, puddles and all, we sat down to a lunch of udon noodles made to order with a chicken or beef soup, followed by tempura, rice and miso. So simple and yet possibly the best meal in terms of quality that we ate in Kyoto. A Michelin star noodle bar costing £39 for four of us for lunch. Now you know why there is a queue! 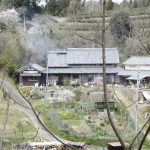 We moved on from Kyoto by renting a car and disappearing into the mountains for two days to spend some time with a wild food expert. This was a day course with 20 other people, where we hiked into the hills to forage for bamboo shoots, leaves and grasses. Inspiring and quite the juxtaposition from our previous week. 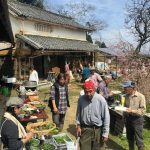 Lunch followed with plenty of tempura, mountain salads and lectures in Japanese by a mountain man who was nothing less than a guru in my opinion. Tasty, inspiring, and a privilege to have been a part of this experience. We spent the afternoon travelling to a campsite up in the mountains to help out on a local conservation project. When we arrived we cooked over an open fire and camped under the moonlight. It was interesting and certainly different. After a trip to the supermarket, we brought up a mix of Japanese and Western food and began our preparation to cook a meal for 60 hungry revellers the following day. Which we did. Amazing Vallebona cheeses and hams had made it with us all the way to Japan from Sardinia via England. I cooked up an anchovy, chilli and caper pasta accompanied by wood-roasted vegetables —not my finest hour but not too shabby considering the conditions. We trekked back to Kyoto for much needed showers and a well-earned rest. For the night before our flight back to the UK, we ate in a Chinese restaurant in Kyoto station. It wasn’t great but a lovely opportunity to recount our mind-blowing two weeks and figure out the journey home. Taxis at 6:00am, our train to Osaka airport, and barely making our flight due to an hour at security—we found ourselves safely bedded in for the 10-hour haul to Helsinki. It was actually a lovely flight, and after a quick hot dog in Finland we hopped onto the plane to Heathrow without any issues. Upon arriving home we stopped to look at each other with that expression of ‘what just happened’. Japan certainly takes it out of you but in such a wonderfully majestic way. That night it was unanimous, we took our jet-lagged bodies out for a burger. 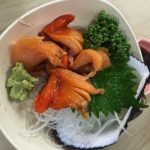 The Japanese eat at all times of the day, not just L&D, embrace it! 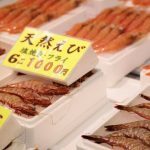 Eating well in Japan feels like it is the cultural norm, rather than in the UK where eating well-cooked, fresh food that tastes amazing requires a booking and deep pockets. 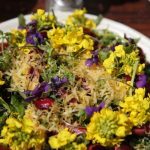 Don’t get me wrong, you can eat poorly or mediocre just as you can anywhere, (and we did on occasion) but the trick is – like most destinations – to avoid tourist looking restaurants. This is not as easy in Japan, when even some of the best restaurants have plastic models (beautiful ones) of food in the window, which can give us the very false impression of tackiness. To combat this conundrum, my advice is: If there is a queue, join it! 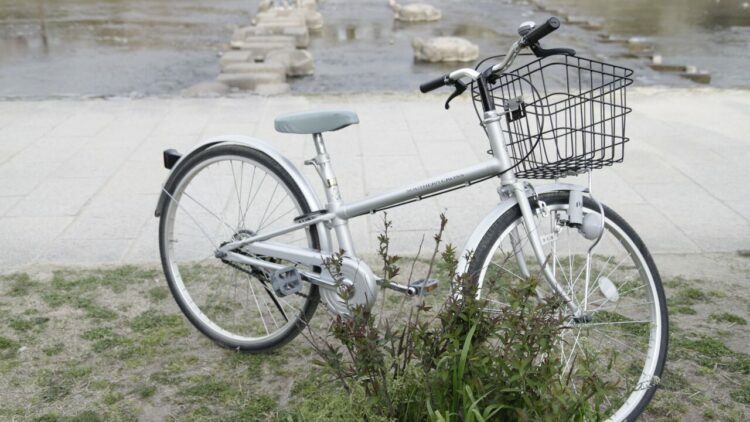 No matter how conscious you are, Japan will make you consider your own etiquette. The people are gentle, kind and considerate. The country is run with the utmost efficiency, way beyond our western way of thinking, and the food culture is at the very centre of it. I loved my time there and think that the way they treat each other allows the respectful culture to rise to the surface. Nowhere is perfect, and every country has its undeniable flaws; but my impression of Japan was nothing but positive and I cannot wait to return. Dorayaki – a type of Japanese confection, а red-bean pancake which consists of two small pancake-like patties made from castella wrapped around a filling of sweet Azuki red bean paste. Kaisaki – a traditional multi-course Japanese dinner. The term also refers to the collection of skills and techniques that allow the preparation of such meals, and is analogous to Western haute cuisine. Katsuobushi – the Japanese name for dried, fermented, and smoked skipjack tuna. Sometimes known as Bonito flakes. Mirin – an essential condiment used in Japanese cuisine. It is a type of rice wine similar to sake, but with a lower alcohol content and higher sugar content. Okonomiyaki – a Japanese savoury pancake containing a variety of ingredients. Shabu-Shabu – a Japanese hotpot dish of thinly sliced meat and vegetables boiled in water. Sudachi – a small, round, green, Japanese citrus fruit that is a specialty of Tokushima Prefecture in Japan. It is a sour citrus, not eaten as fruit, but used as food flavouring in place of lemon or lime. 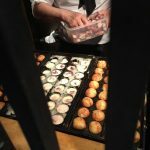 Takoyaki – a ball-shaped Japanese snack made of a wheat flour-based batter and cooked in a special takoyaki pan. It is typically filled with minced or diced octopus (tako), tempura scraps (tenkasu), pickled ginger, and green onion. Tatami – a type of mat used as a flooring material in traditional Japanese-style rooms. Tonkatsu – a Japanese food which consists of a breaded, deep-fried pork cutlet. There are two main types, fillet and loin. It is often served with shredded cabbage. Tonkatsu originated in Japan in the 19th century. Yakitori – a Japanese type of skewered chicken. The preparation of Yakitori involves skewering the meat with kushi, a type of skewer typically made of steel, bamboo, or similar materials. Afterwards, they are grilled over a charcoal fire.